Orion EFT-1 Special Event Station snapshot (December 5th). 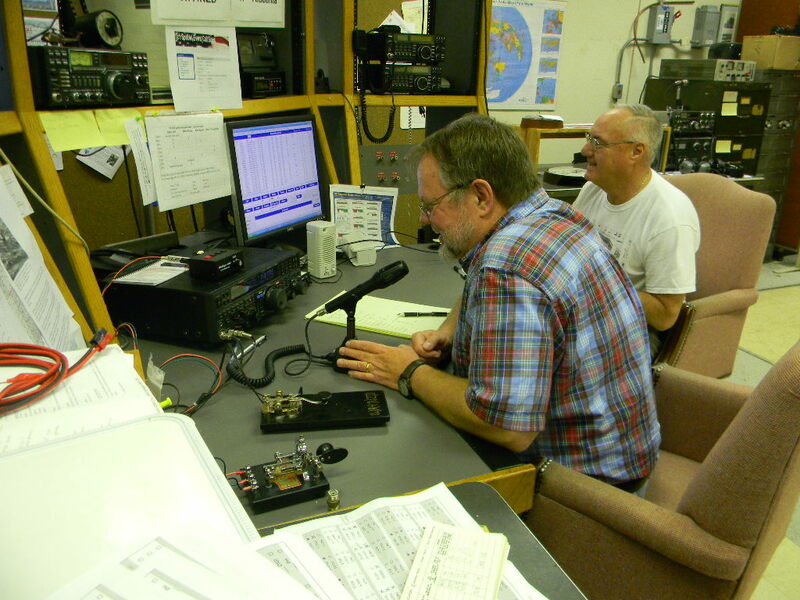 Rob KB5EZ and Dave KK4IKR operated for our Orion Special Event on Saturday morning on 20 meter SSB. John N4CNY and Gary WA2JQZ (not pictured) operated during the afternoon. This entry was posted in events, nasa, operating, space flight and tagged Orion, Special Event. Bookmark the permalink. - Our monthly membership meetings are usually held at the club station on the first Thursday of each month : 4 pm socializing, 4:30 pm business. Building 4622. - We also usually have our Work-Play sessions on the third Wednesday of each month at the club, 4:30 pm. Building 4622. Where is Oscar 7 (AO-7)?